We invite you to browse through our store of boating accessories, and shop with confidence. 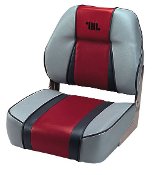 Beluga Marine specializes in quality boat seats and fishing seats. We encourage you to create an account with us if you like, or shop as a guest. Either way, your shopping cart will be active until you leave the store. Beluga Marine is a full service company that is committed to providing our customers with top quality service and a large selection of boating accessories including marine seats, fishing rod holders, electronics and other related boating supplies. 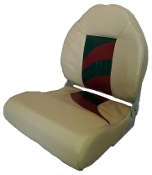 Your satisfaction is our primary goal and your purchase will be secure and safe. 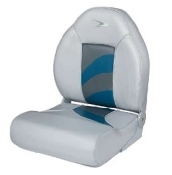 Here at Beluga Marine we carry a large selection of discount boat seats for a variety of fishing vessels. Whether you need offshore seating and fishing chairs, or the latest in pro-pedestal fishing seats, we have a selection sure to meet your boat seating needs, including custom boat seats. Our seats are value priced with a variety of frames and options. 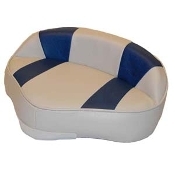 In addition to being a boat seat store offering wholesale boat seats to our clients, we also offer many discount boat accessories. Whether your needs are for boat pedestals, fishing rod holders, dock bumpers, marine electronics, fuel tanks, anchors or anchor line, we have a variety of discount boat accessories in stock. Whether you are a professional or novice fisherman, or perhaps a vessel crew member, Beluga Marine offers our valued customers a wide selection, great prices and secure and safe ordering. Additionally, we offer no sales tax on purchases and free same-day shipping. Thank you for visiting Beluga Marine. We look forward to having you as one of our valued customers. To contact our knowledgeable staff with any questions or inquiries, please click the Contact Us button located at the top of this page or call us today at 877.543.6888.